According to article 2 of the EU regulation 439/2010 of the EU Parliament and the Council establishing EASO, ‘the Support Office shall be fully involved in the external dimension of the Common European Asylum System (CEAS)’. Support for the external dimension of the CEAS is further clarified in Article 7 of the EASO Regulation according to which ‘the Support Office shall, in agreement with the Commission, coordinate the exchange of information and other action taken on issues arising from the implementation of instruments and mechanisms relating to the external dimension of the CEAS’. In 2013, EASO has elaborated an External Action Strategy that defines the approach and general framework within which the agency develops its work related to the external dimension of the CEAS. The strategy was adopted by the Management Board in November 2013 and indicates the different forms of action that EASO can take within this context, in particular capacity building (including training) and resettlement (in line with the above mentioned Article 7 of the EASO Regulation). Activities in these areas are implemented by EASO’s External Dimension Sector, which is made of two main thematic areas: resettlement and Third Country support. Resettlement, where EASO offers bilateral and multilateral support to Member States with the aim of enhancing of their resettling capacity; and Third Country support, dealing with the delivery of capacity building activities in Third Countries (TCs) in line with EASO’s geographic priorities. In this field, EASO works both through its own annual funding and through the implementation of projects financed by external sources, such as the European Neighbourhood Instrument (ENI, formerly ENPI) and the Instrument for Pre-accession Assistance (IPA). More information on these two thematic areas can be found in the following, dedicated paragraphs. EASO aims at strengthening the EU’s role in the resettlement area, in cooperation with the European Commission, with a view to meeting the international protection needs of refugees in TCs and showing solidarity with their host countries. In cooperation with UNHCR and other relevant actors, EASO supports the implementation of the European Resettlement Framework. In addition, EASO provides bilateral support to EU Member States, with the aim of enhancing of their resettling operational capacity. In the framework of the European Union action on ‘Facilitating Resettlement and Refugee Admission through New Knowledge’ (EU-FRANK project), EASO is supporting the development a training module on resettlement as part of the training curriculum; the creation of joint tools for future resettlement operations of Member States and the piloting of new approaches to successfully increase operational coordination between Member States. The project is led by the Swedish Migration Agency and involves relevant institutions in Belgium, Netherlands, Italy, Switzerland, as well as UNHCR IOM and ICMC. EASO supports resettlement activities from Turkey and works closely with the EU Delegation (EUD) and EU MS in Ankara. Upon request from the European Commission, since mid-April 2017, an EASO Resettlement expert is deployed in Turkey for this purpose. Within this framework, EASO mapped and studied the different practices of Member States, with the aim of analysing opportunities for strengthening operational cooperation between them. Possible cooperation measures will be turned into pilot programmes and implemented with interested Member States. EASO has an important role to play in the external dimension of the Common European Asylum System (CEAS) by strengthening asylum and reception capacity in Third Countries (TCs) in order to better protect asylum seekers, by facilitating the resettlement by Member States of refugees from TCs to the EU, and by cooperating with those countries in matters connected with EASO’s duties and activities. As part of this, EASO supports capacity building in EU neighbouring TCs’ asylum and reception systems. EASO provides increased support to the Western Balkans (WB) and Turkey; this is done through cooperation with the European Commission, EU Member States, Frontex and other relevant actors, currently mainly within the Regional Support to Protection-Sensitive Migration Management in the Western Balkans (WB) and Turkey (IPA 2014, see below). Moreover, building on the outcome and experience gathered from the implementation of its European Neighbourhood and Partnership Instrument (ENPI) project with Jordan, Tunisia and Morocco (2014-2016), EASO is supporting the implementation of the European Agenda on Migration, the Regional Development and Protection Programmes (RDPPs), the Partnership Framework and the ‘compacts’ approach launched by the EC in June 2016, the Valletta Summit Action Plan and other policies and actions relevant to durable solutions. EASO agreed on a pilot Roadmap document for cooperation with the Directorate General for Migration Management (DGMM). The pilot phase run from September 2017 until February 2018 and included key areas of cooperation for the enhancement of DGMM staff capacities in the assessment of applications for international protection, with a clear focus on vulnerable groups. These areas are COI; Training, including e-learning; vulnerable groups; data analysis and information exchange; contingency planning and support to the Ankara Processing centre. EASO and DGMM are currently discussing the content of future cooperation, which will be included in a new Roadmap document. So far, consultations with DGMM have focused on the same areas of cooperation as in the pilot phase, maintaining a clear focus on vulnerable groups. 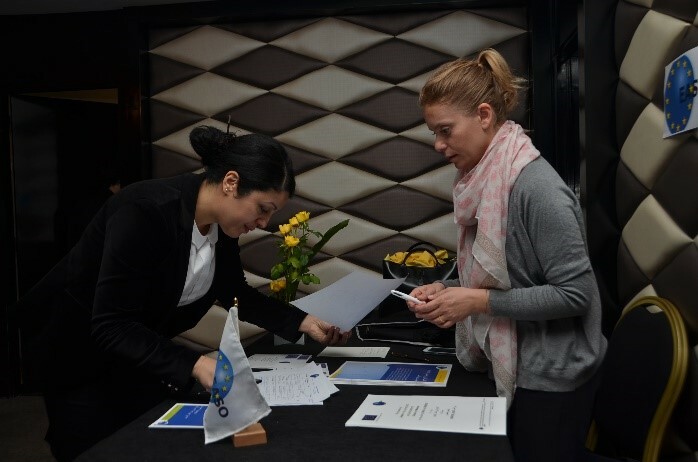 Additionally, EASO is currently co-implementing the IPA II project: Regional Support to Protection-Sensitive Migration Management in the Western Balkans and Turkey. The IPA II project foresees the participation of DGMM in regional activities (see the next paragraph for more information on the IPA project). On 1 January 2016, the implementation of the Regional Support to Protection-Sensitive Migration Management in the Western Balkans (WB) and Turkey (IPA 2014) started. The project is financed by the Instrument for Pre-accession Assistance for a total budget of EUR 5.5 million (1.3 million implemented by EASO) and is a three-year regional project (36 months), with Frontex, EASO, UNHCR and IOM as partners and implementing agencies. The project specifically aims at establishing a harmonized, effective and protection-sensitive migration management in the WB and Turkey in line with EU standards. The element of protection-sensitive migration management is core to the project and stresses that international protection aspects should be taken into consideration throughout the whole migration management process. The IPA Project offers a comprehensive and holistic regional approach to mixed flows migration management complementing the efforts of the beneficiary authorities by providing a mixture of horizontal and regional support activities. With the successful implementation of the activities, the WB will be in the position to advance towards achieving inter-operability with EU practices and standards while bridging existing gaps. EASO activities under the IPA Project focus on providing support in the establishment of improved identification of mixed migration flows – and the most vulnerable groups among them – as well as in the delivery of capacity-building activities including on-the-job training. EASO intervention is tailored to the establishment of protection-sensitive and EU compatible registration and referral mechanisms for asylum seekers and to support the establishment of EU compatible asylum systems in the WB. The kick-off conference of the IPA project was held in Belgrade on 9-10 March 2016 and gathered all the stakeholders, followed by kick-off field visits to the WB authorities in 2016 (April – June). Capacity building activities have started and cooperation between the project partner organisations, as well as with the WB authorities and Turkey, is proving very beneficial. In order to monitor the process, annual Regional Steering Committee meetings are organised. At regional level, EASO has organised a regional seminar on identification of persons with special needs, a regional EASO training Module on interview techniques, a regional seminar on country of origin information, a regional EASO training Module for managers, a regional EASO Training Module on interviewing vulnerable persons, a regional workshop on the use of EASO practical tools and practical guides (with some of them being translated into WB languages), a regional policy meeting in cooperation with the Migration, Asylum, Refugees Regional Initiative (MARRI) and a first round of discussions for the establishment of regional practitioners’ network. EASO is specifically working in close cooperation with the former Yugoslav Republic of Macedonia and Serbia where national authorities, EU MS experts, EASO staff, have jointly drafted a national Roadmap to support the establishment of asylum systems in line with EU standards. The two Roadmaps are currently being implemented and in the case of Serbia, the activities are especially linked to the EU accession negotiation. In the framework of the above-mentioned Roadmaps, the upcoming activities in 2018 include, among other activities, on the job training to introduce the relevant EASO tools and practical guides on reception and examination procedure as well as tailor-made activities to introduce the Access to Procedure tool in both countries; the development of SOPs on registration and examination procedure for international protection in the former Yugoslav Republic of Macedonia and a workshop on the safe third country concept in Serbia. In 2018 at regional level, the plan is to continue the discussion for the establishment of a regional practitioners’ network as well as a regional meeting to present the progress/results of the Roadmaps, for other countries to benefit from this experience. At national level, EASO has started to roll out some of the EASO core training modules (Interview Techniques and Inclusion) to cover the entire WB countries in which national trainers are acquiring experience on delivering the content of these sessions. The purpose of the ENPI (European Neighbourhood and Partnership Instrument) project was to familiarise Third Country (TCs) officials from Tunisia, Morocco and Jordan with the mandate, tools and instruments of EASO and Frontex, and cooperation models developed with EU Member States (MS). The project also assessed/identified the technical needs of the TCs making use of EASO and Frontex tools to respond to capacity building needs. This enhanced the possibilities of EASO and Frontex to act as preferred EU operational actors vis-à-vis TCs. The project implementation started on 1 March 2014 with a revised duration of 28 months. During the project, over 12 capacity building activities were implemented and over 170 TC officials were reached. As they participated in several EASO train-the-trainer sessions, TC trainers were able to act as trainers (coached by EU MS/EASO trainers) in some of the capacity building activities organised during the project. 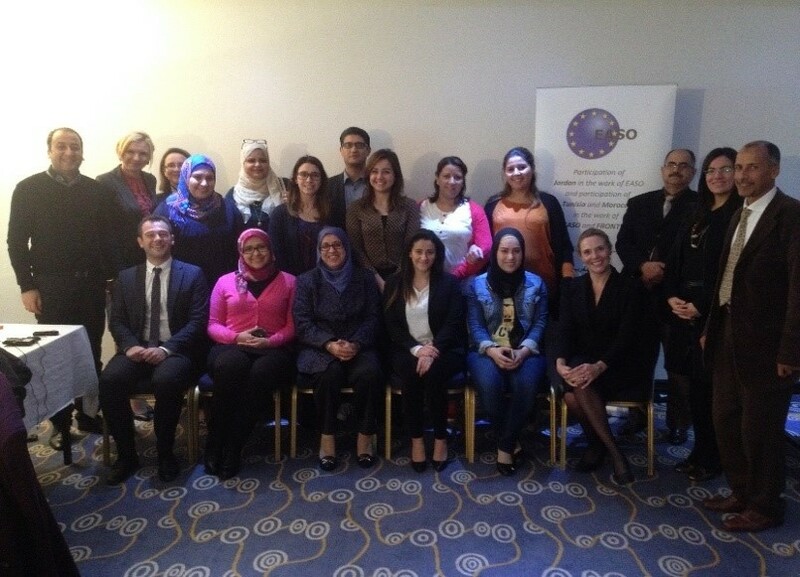 A first EASO training in Arabic (the three EASO core modules have been translated into Arabic) with both TC and EU MS/EASO trainers was organised in November 2015, targeting officials from Morocco, Tunisia, Egypt, Jordan and Lebanon. The ENPI Project’s Final Conference was held in Brussels on 25-26 May 2016 and was the occasion for all the stakeholders to review together all implemented activities, achievements, challenges and opportunities that emerged during these two years and half. It aimed at gathering key strategic and policy inputs on the implementation of the project, as well as coordinated and clear discussions on future cooperation in the Middle East and North Africa, taking into consideration other main regional processes such as the Mobility Partnerships and the Regional Development and Protection Programs. EASO’s support to Jordan has overall been successfully implemented and has included, study visits, ad-hoc seminars with the participation of EU MS experts, the delivery of EASO training sessions in the three core modules as well as relevant needs assessment visits for identifying the needs for more long-term technical assistance to support both a training function within the Syrian Refugees Affaires Department and a migration analysis function in the Ministry of Interior. Project implementation in Morocco has been very successful and has significantly contributed to the proposed Moroccan reform on migration and asylum. Needs assessment visits have been carried out with participation of EU MS experts and two thematic seminars were held in Morocco in 2014 to respond to the authorities’ need to better inform modifications to the draft law on asylum (not yet adopted). Moroccan officials have shown great interest in cooperating with EASO, through a broad spectrum of stakeholders, and have attended training and participated in study visits. A thematic seminar for Moroccan Parliamentarians on international refugee law, including the EU Acquis and parliamentary procedures for passing asylum legislation, was organized in April 2015 for Moroccan Parliamentarians. That was the first of its kind. With respect to Tunisia, EASO has found good cooperation in particular with Ministry of Foreign Affairs, Justice and Social Affairs. Tunisian officials participated in study visits including to the Swedish authorities to get an understanding of key principles in the Swedish system, which served as inspiration to the Tunisian draft asylum law (not yet adopted). 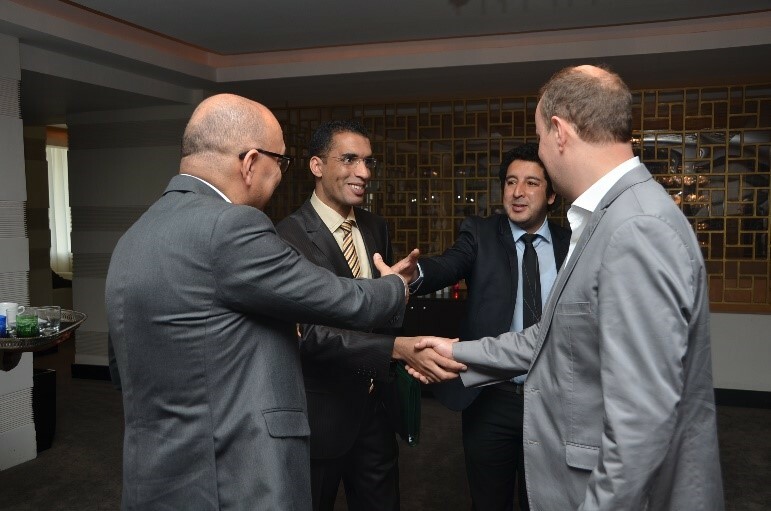 Tunisian officials have furthermore been trained in the EASO core modules Inclusion, Interview Techniques, Evidence Assessment as well as on the CEAS. 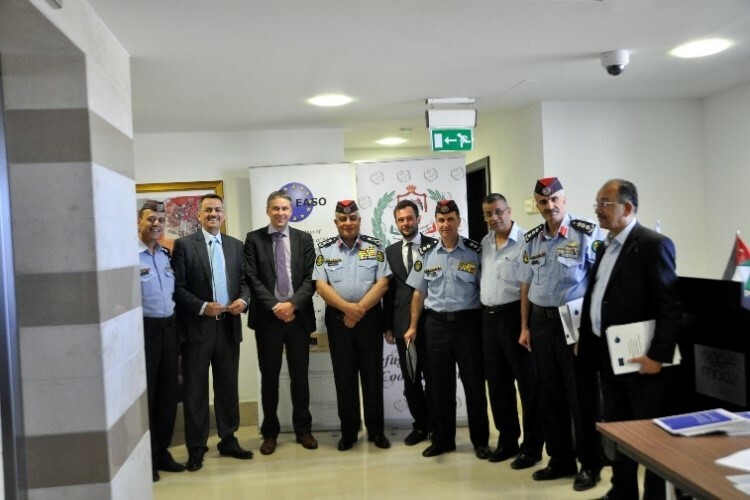 With respect to Frontex activities under the project, a study visit was organised in February 2015 to the Frontex headquarters to present Frontex’ work and mandate, as well as to exchange information and experiences with the Moroccan authorities. 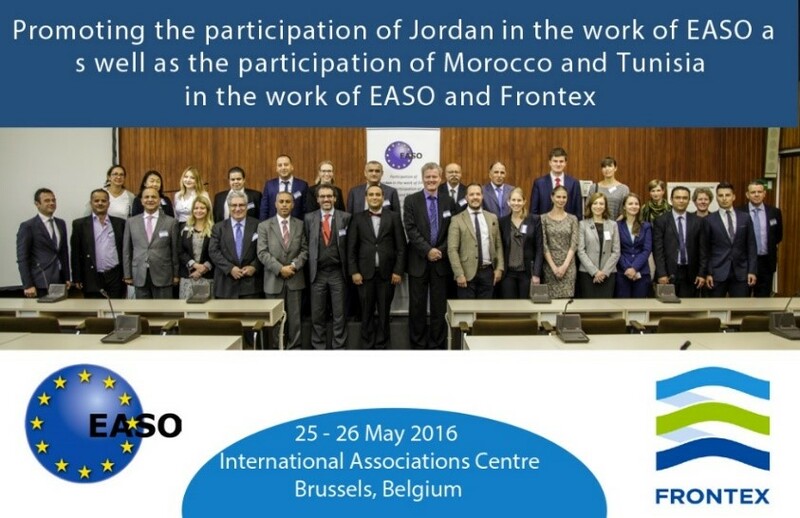 In March 2015, Moroccan officials also visited the Frontex Partnership Academy in Lyon.